If you select a group containing several colors - the color patch on the properties panel has a 2 color diagonal split to indicate this. Tap on the patch and the Color Picker displays the group colors at the top of the panel. 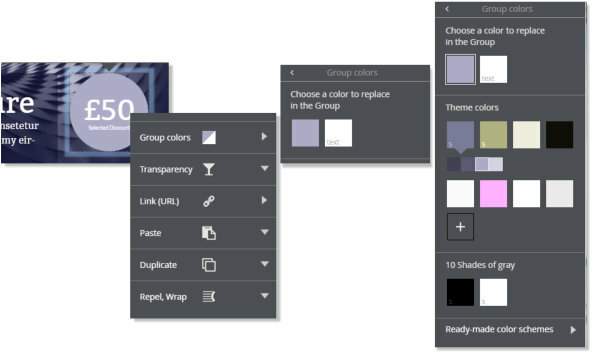 Tap the color you want to edit and then choose a replacement from the Color Picker or tap the + button to create a new color from the Color Editor. Where a patch represents a text color this is indicated.